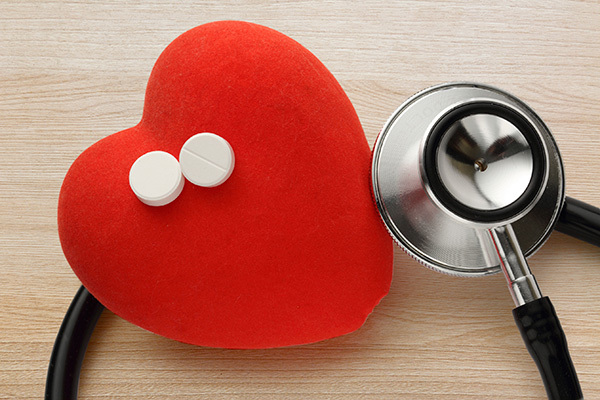 An old—and often controversial—health recommendation is to take an aspirin every day to protect your heart. Depending on who you are, this is still good advice. But it could be very dangerous for others. For some people, it’s possible a daily aspirin can lead to internal bleeding and even enhance the health condition it seeks to silence. Here’s what I’m talking about: Recent advice from the United States Preventative Services Task Force—an panel of nationally recognized experts in prevention and evidence-based medicine—says that if you’re between 50 and 69 and are at a high risk for heart attack or stroke, you should take a low-dose (i.e., children’s) aspirin each day as a preventative measure. Doing so could possibly even prevent colon cancer. This is the first time aspirin has been mentioned as a preventative measure for cancer, but it’s likely because colon cancer is so closely associated with heart disease. But if you’re outside of the 50 to 69 demographic, have not previously suffered a heart attack or stroke, or are at a low risk for a heart attack, then there’s no need to take daily aspirin. In fact, doing so could be dangerous. This is especially true if you’ve ever had gastrointestinal bleeding or an ulcer, or regularly take omega-3 supplements, blood thinners, and NSAIDs (such as ibuprofen), because the risk of internal bleeding could be markedly increased by these factors. If you fall into any of these categories, it can be extremely risky to take aspirin regularly, even in low doses. But if you’re otherwise healthy, active, keep a good diet, and maintain a healthy weight, you should be fine. Lifestyle plays such a major role in the risk for heart disease, heart attack, stroke, and certain cancers that the best preventative measures are the lifestyle decisions you make every day. If you want to lower the risk of heart disease, stroke, or heart attack, a daily children’s aspirin should be your last resort. No matter what your situation, it’s best to consult your doctor about your specific situation before starting a new daily routine like this.